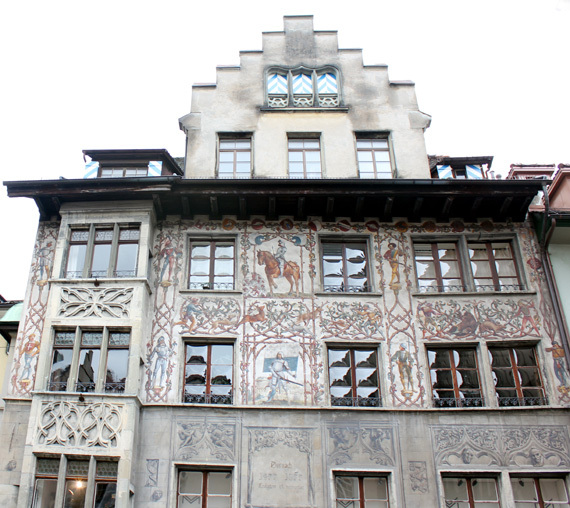 Mike and I just had the privilege of visiting Switzerland (on our way to an amazing five-day wine tour through Burgundy, France–to be explained next blog; stay tuned) and were just completely charmed by the architecture. As an American, old European structures always seem impressive but set their old-world charm against some of the world’s biggest mountains and they elevate to breathtaking. 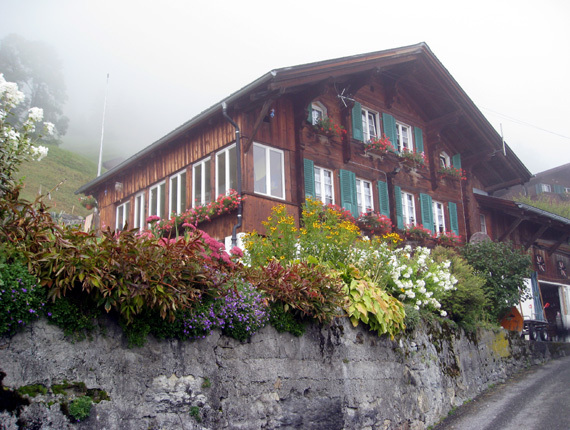 Here are some of the villages, cabins, flats, and chalets that had us wanting to employ a Swiss realtor. 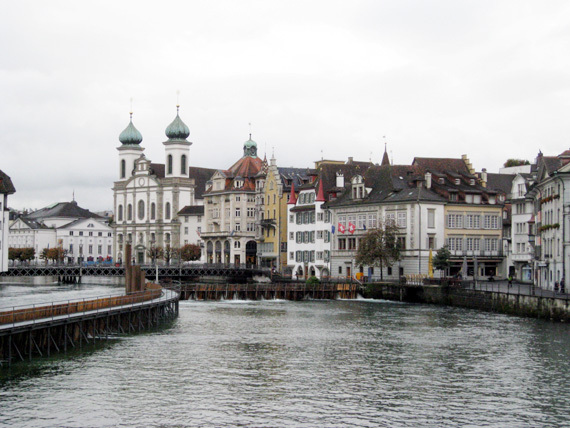 The Lucerne is the biggest city in central Switzerland but that didn’t detract from its utter charm. 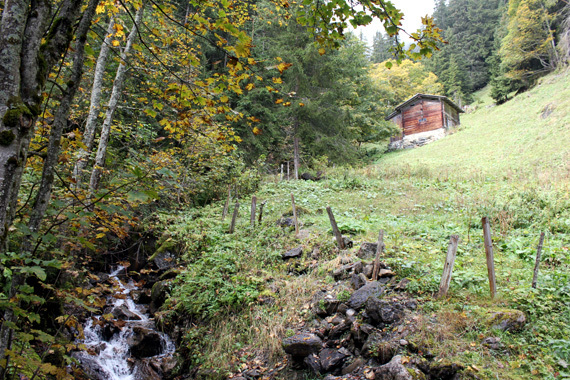 Little cottages and sheds like this would appear throughout mountainside, usually complete with their own waterfall. 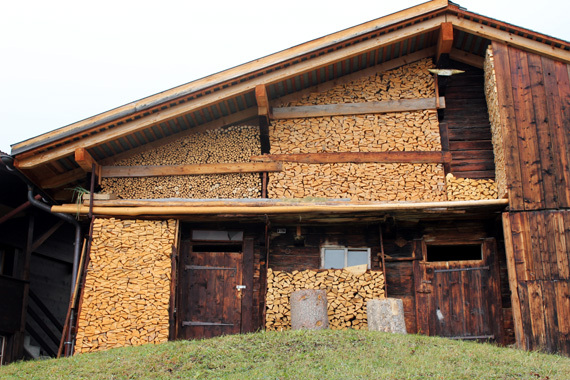 When a woodshed won’t cut it, many of Alpine folk use the façade of their home as an all-encompassing lumber storage unit. Here, tightly packed logs become graphic ornamentation and the mark of an OCD resident. 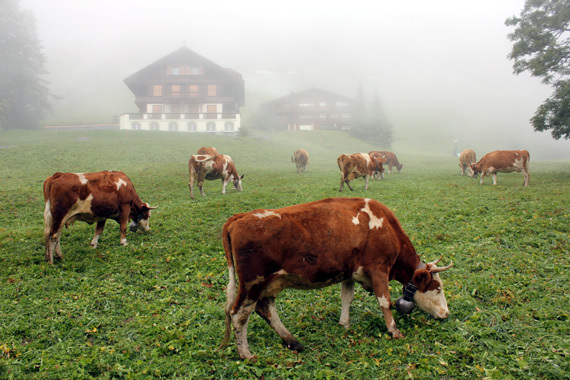 As far as landscaping goes…we saw a farmer walk this herd through the streets of Mürren and just drop these brown cows off at the front yard of this house. Communal lawn mowers? 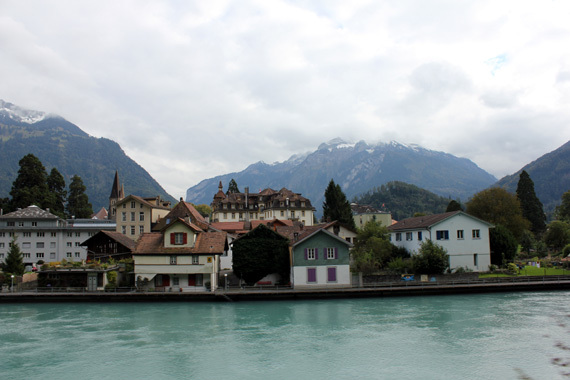 Take the train anywhere near Interlaken and this will be your view: pristine towns, thick turquoise glacial lakes, and snow-capped mountains. To get an even bigger taste of the mountains, we ascended Mount Titlus. 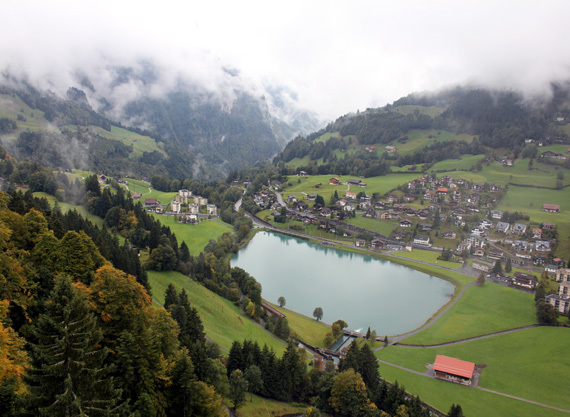 Here is view from the gondola looking down to the town of Engelberg. 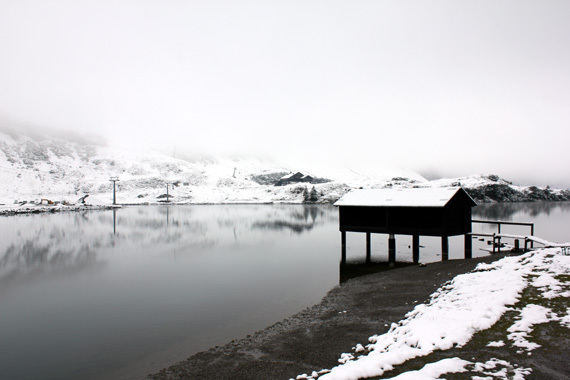 A third of the way up to Mount Titlus we took a break to walk around Lake Trübsee. I’m not exactly sure what this dark wooden structure is for, but it added to the beautiful desolation of this odd way station. 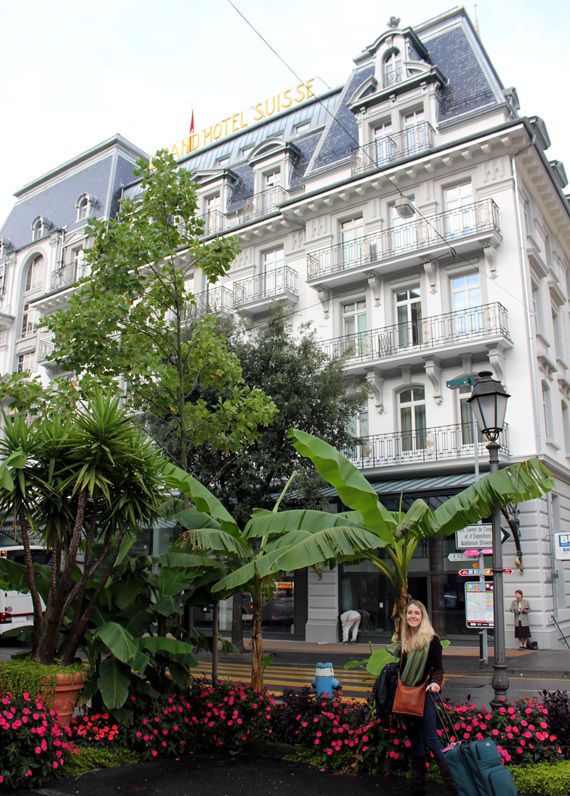 We spent most our time in mountain towns but we concluded our Swiss journey with a bit of pampering in Montreux. Set on Lake Geneva, this small city is said to be the heart of the Swiss Rivera with luxe hotels, cliff-side vacation homes, and vineyard chateaus. 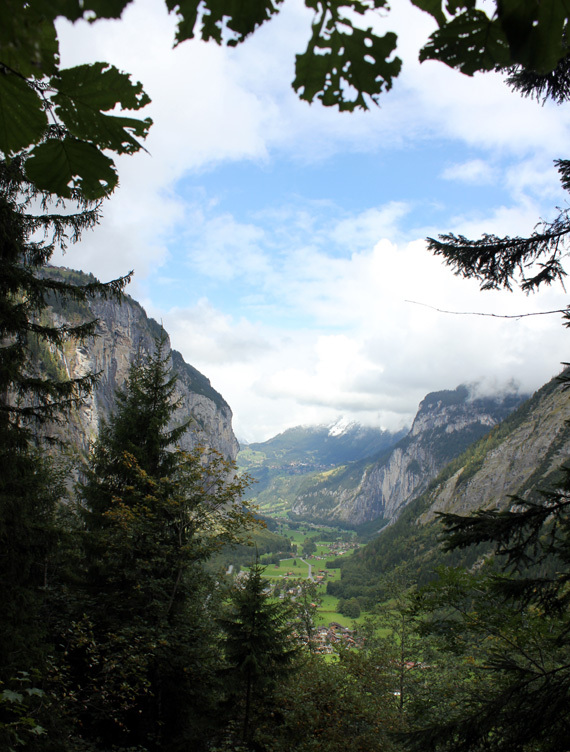 Has anyone else been someplace amazing in Switzerland? I’m already dying to go back!